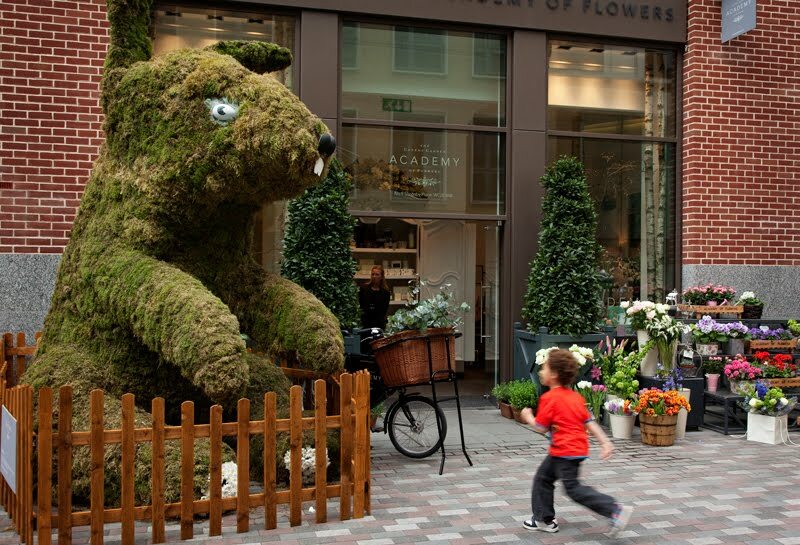 Giant bunny has appeared in Covent Garden. Created by the students of the Academy of Flowers using symbols of spring; moss,foliage and flowers. Looks like a scary bunny to me! Great post. Thanks. I really look forward to seeing your new post of the day. Well, I have heard about and been to the Chelsea Flower Show, but an Academy of Flowers. (?)... not until now. Must be a fantastic place to learn the skills! I like the little child in your photo, added color and a feel of how huge this bunny is. This is a huge bunny! I'd by lying if I said this wasn't a little creepy. the bunny is a little scary .... but the little boy seems to enjoy it ! Bunny looks a bit fierce! That's enough to frighten the bejasus out of anyone . . . BO!!!!!!!!!! !i'm scared about the giant bunny,LOL!! !